Steel hook on a construction crane frames the front door of Alumni Hall during renovation work. 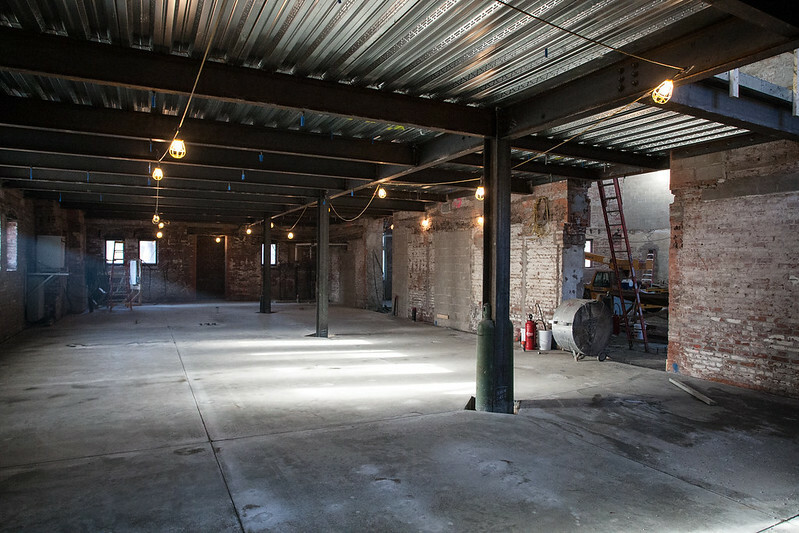 Much of this blog has been about current construction updates. 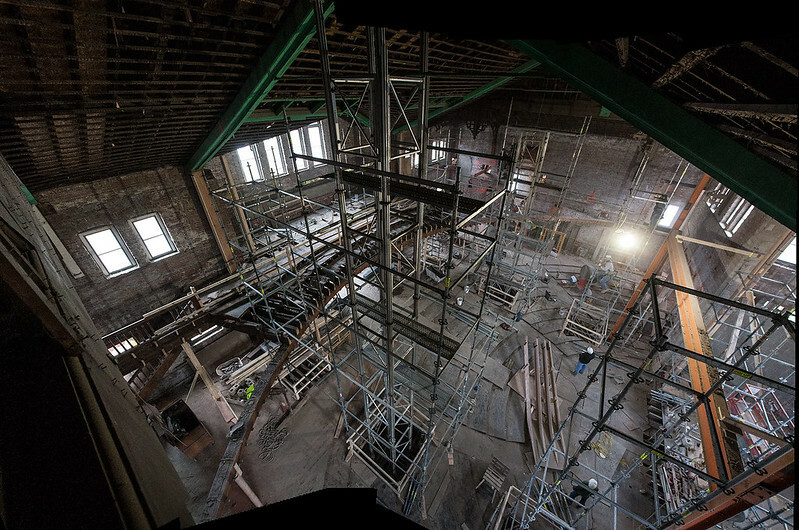 Had it existed during the original construction of the building, this is what readers likely would’ve seen. 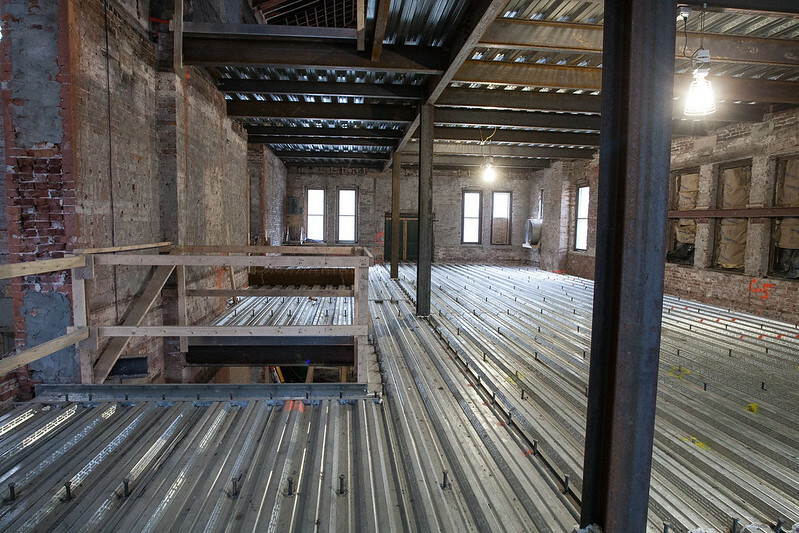 This is a photo of the original construction of Alumni Hall, looking towards the south side. 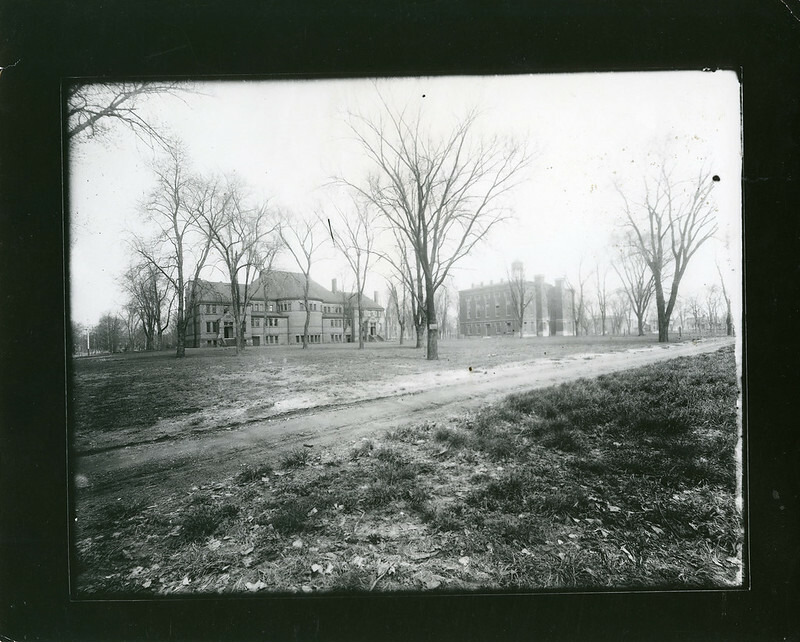 And to give you a sense of where this was taken, it appears that the photographer stood where Seymour Hall is now located. 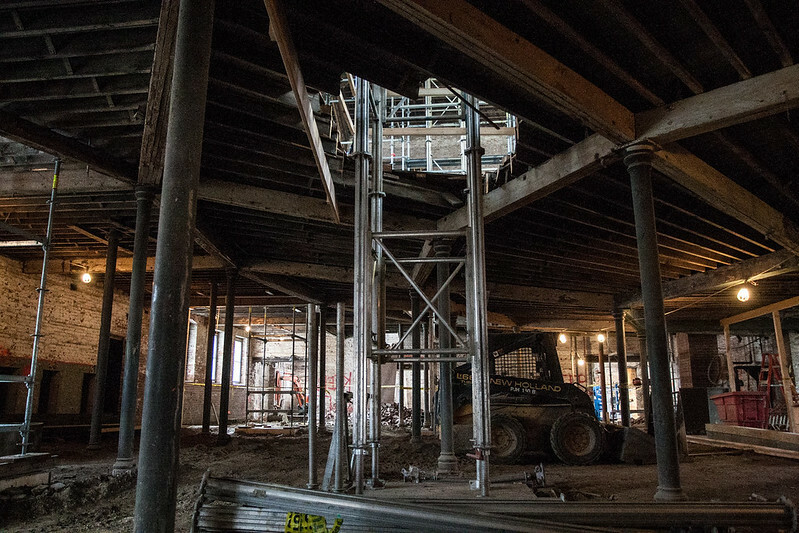 Steel scaffolding, anchored in the basement floor, breaks through the (yet to be removed) first floor in the central section of Alumni Hall. 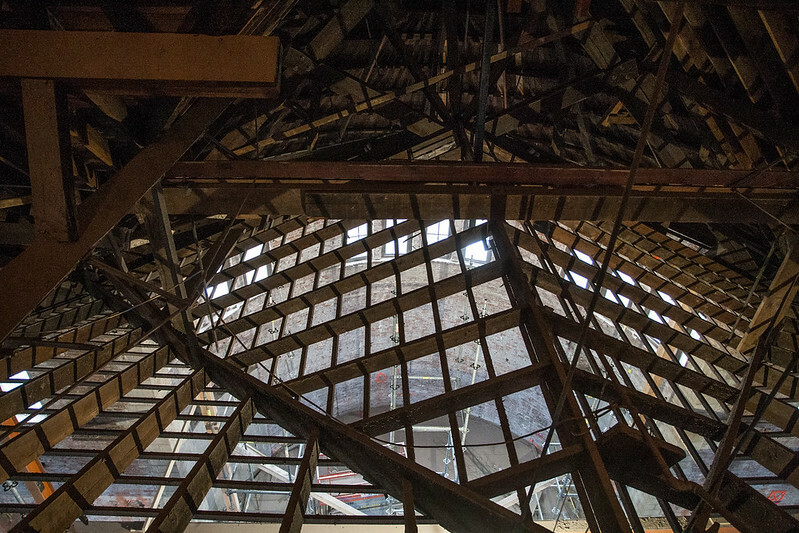 Removal of the original plaster ceiling in the central auditorium enables this almost surreal view that combines wood and brick from 1890, when Alumni Hall was built, with modern structural steel beams and scaffolding, erected during the year-long renovation project. 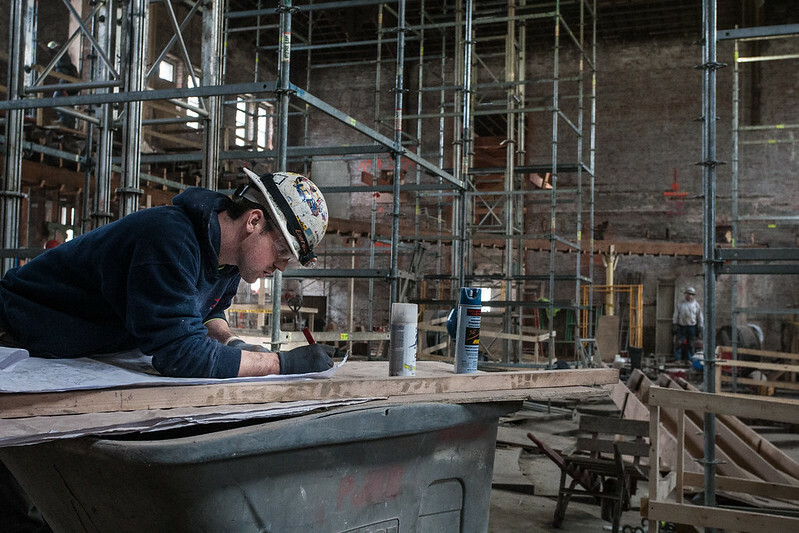 A worker cuts out a water-damaged beam that will be replaced during the Alumni Hall renovation.